29th April: The battle is still raging & the 1st Battalion has been relieved in the trenches & sent back to the base to rest. Had a bathe in the sea and had some tea which has greatly refreshed me. Thank God I am still safe, but I believe we have a hot time ahead yet. 1st May: Still resting at the base but expect to return to the firing line this afternoon. Left the base 7pm and returned to firing line. 2nd May: Still in trenches – things a bit quiet – plenty of bullets wizzing about but only an occasional shell. Our trench is on a hill at the top of a deep ravine. The ascent is so steep that we have to climb up on a rope about a hundred yards long. The rest is cut with steps. Went down in the gully this afternoon and made some tea. Met Ted Smith & P. Wise from Tamworth and had a yarn while the billy boiled. I forgot to enter that cousin Pat was wounded in the head last Sunday but not seriously. You can imagine what it was like here the first two days after we landed. When the roll was called there was only four hundred left in the 1st Battalion, that is 6 hundred killed & wounded. Although we had such a hot time I came through without a scratch. The nearest touch I had was when a bullet penetrated the iron cap of my entrenching tool handle and remained in the wood. 9th May: Still in the firing line. We do 18 hours and then have 24 off, when we can boil our billys & cook our food. We are getting excellent food every day. We get tinned meat & vegetables, bacon, cheese & jam, with biscuits. I am in splendid health, never had such an appetite before. We are holding the Turks back now with ease. In some places our trenches are only 15 yards apart. The Turks have trench overlooking the gully up which our stores are brought & they have snipers picking off our men as they go along. One day they shot 14 stretcher bearers. We also have to go there for water. I have to laugh when I think of it, that every time one has to go for water one has to give the beggars a shot at oneself. Jack Reilly was wounded on about the 19th of May 1915. He was evacuated to Egypt and eventually recovered from his wounds. He later served in France and returned to Australia in 1919. Jack was discharged on the 27th of June 1919, having been away for nearly five years. What sort of man was Jack when he returned we will never know. What we do know is that he was ill, suffering repeatedly from respiratory ailments. He was about 29 years of age when discharged, but it would be another 12 years before he married Rose Kirk in 1931, suggesting that it may have taken some time to recover, both mentally and physically. subject that is generally discussed. Yet what is discussed, though not widely, is that perhaps as many who died during the war (over 60,000) were to pass away in the next 20 years or so following their return. So it is no surprise to learn that 199 Sergeant John Bernard Reilly rejoined his mates from the 1st Battalion on the 18th of February 1942, at the age of just 52. A hero now silent, but not forgotten. On April 26 the Battalion was still scattered along most of the front, although by evening about 300 stragglers had been collected. These spent the night in Shrapnel Gully, just below its junction with Monash Valley.......During the 27th and 28th such men as had been collected were used as supports for the firing line and small parties were sent up to reinforce where required. On the 29th orders were received to assemble the Battalion on the beach to reorganize, and every effort was made to muster the scattered troops.......The men bathed and slept, and on the morning of the 30th a muster parade was held and the casualties ascertained with more or less accuracy. The Battalion had landed with a strength of 30 officers and 942 other ranks....the number of killed, wounded and missing from April 25 to 29 inclusive (totalled) 366. The First Battalion continued to serve with distinction throughout the Gallipoli campaign and later the war in France. During its four and half years of active service 286 officers and approximately 6000 other ranks were to serve with the Battalion. Killed were 49 officers and 1116 other ranks; wounded were 111 officers and 2052 other ranks. Approximately 232 men received awards for gallantry, including three Victoria Crosses. Major Ross Campbell Dawson was 34 years old when he enlisted on the 27th August 1914. He was appointed OIC A Company, 1st Battalion, and was the officer whose signature appears on a great many of the Attestation Papers of those men who enlisted at that time. He was wounded with a bullet wound to the neck on the 25th April 1915 as his troops were attempting to establish themselves on that first day. He returned to duty on the 21st of June, but was subsequently seconded from duty on the 29th October 1915. He suffered a septic arm in January 1916 and embarked for Australia later that month. Dawson was subsequently diagnosed with nervous depression, insomnia and neurasthenia and was discharged in June 1916. He died on the 22nd August 1947. Major Blair Inskip Swannell born in Britain on th 20th August 1875. 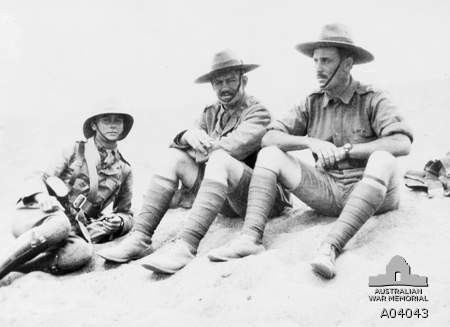 He was an engineer who was a veteran of the South African Campaign (the Boer War) and thus one of the more experienced officers in the 1st AIF at that time. The exact fate of Major Swannell is not known. He was at the forefront of the landing and advance of the 1st Battalion when it landed on the morning of 25th April. It appears that, with Sgt Larkin and others he reached the feature known as Baby 700. He is listed as KIA on April 25 1914, but his body was never identified (this was a common fate of many at Gallipoli). His identity disc was located on the 2nd of May by a Captain Bigwithen of the NZ Expeditionary Force. 321 - Edward Rinnex Larkin was the 34 year old Member for Willoughby in the NSW Legislative Assembly. He enlisted on the 21st August 1914 and joined the 1st Battalion. Larkin landed with A company and was reported KIA on the 25th April or 2nd of May. His remains are buried in the Valley of Death at Gallipoli and he was posthumously Mentioned in Dispatches. 134 - James William Adams was a 22 year old plumber when he enlisted on the 22nd of August 1914. He joined the 1st Battalion and landed at ANZAC on 25th of April, where he received a gunshot wound to the leg. He rejoined his unit on the 22nd of June, but suffered a serious influenza attack on the 13th of August, just a few days after the attack on Lone Pine. He was evacuated to England in September and served the remainder of the war in England and France. He returned to Australia on the 27th of January 1919. 188 – Geoffrey Ronald Lomas joined the 1st Battalion on the 1st September 1914. He was 19 years of age and had been working as a stockman. He received a gunshot wound to the arm at Gallipoli on the 15th of May 1915. Taking some months to recover, he didn't return to his unit until the 13th of November of that year, just as the temperature was starting to plummet. He served throughout the war in England & France, but seems to have suffered greatly from continuing bouts of trench fever. He returned to Australia on the 22nd of November 1918. 201 – John Cairns was a 29 year old bookkeeper from Goondawindi. He joined the 1st Battalion on the 4th of September 1914. He appears to have landed at Gallipoli on the 25th of April 1915, but was sent to hospital by his commanding officer a few days later, about the 1st of May. He was diagnosed with venereal disease and sent back to Australia and discharged in August 1915. 202 – David William Carter enlisted with the 1st Battalion on the 3rd of September 1915. He was 22 years of age and had been employed as a railway shunter. Landing at Gallipoli, he was wounded sometime between the 25th and 29th of April and was evacuated to hospital. 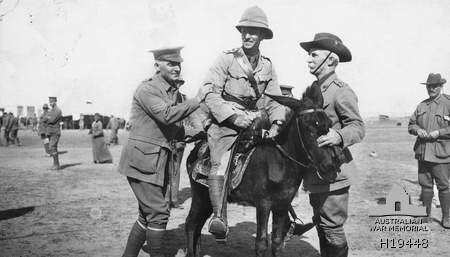 Carter returned to his unit in June, survived the attack on Lone Pine in August, was promoted to corporal in November and was sent to Egypt following the Gallipoli evacuation. Carter was promoted to Sergeant in February 1916 and arrived in France on the 28th of March. He was killed in action in the vicinity of Poziers, sometime between the 22nd & 25th of May 1916 and is buried in Poziers British Cemetery. 140 – Leslie James Billington was a 22 year old English boy when he joined the 1st Battalion on the 24th of August 1914. He was wounded at Lone Pine between the 6th & 9th of August 1915. Recovering from his wounds, he served throughout the war, achieving the rank of sergeant, and returned to Australia in May 1919. 178 – Allen Reginald Tindale was 19 years of age when he joined the 1st Battalion on the 1st of September 1914. Describing himself as a clerk when he enlisted, he landed at Gallipoli on the 25th of April with his unit. Tindale received a gunshot wound to the arm at ANZAC on the 5th of June, but was able to return to duty in August. He was promoted to corporal and remained at Gallipoli until the evacuation. Tindale was promoted to Sergeant in February 1916 and received a commission to 2nd Lieutenant in April of that year. Sent to France, he was wounded in May 1916 and again, more seriously, in April 1917. Tindale was returned to Australia in November 1917 where he was invalided from the army. 179 - Harry Morell Reeve was a 20 year old shearer upon his enlistment in the 1st Battalion on the 1st of September 1914. He received a gunshot wound to the hand sometime between the 25th and 29th of April, but returned to his unit on the 8th of May. Harry was again wounded on the 5th of June and died of his wounds the next day. He was buried at sea. 100 – Charles Lee was a horse driver and just 21 years of age when he joined the 1st Battalion on the 17th of August 1914. Lee was reported as Missing on the 5th of June 1915 (at Gallipoli) and a subsequent Court of Enquiry confirmed that he had been Killed in Action on that date. 189 - Sidney John Samson was 24 years old and a mechanic when he enlisted in the 1st Battalion in 1914. He was wounded at Gallipoli between the 25 and 30th of April 1915, and again in France on the 11th of April 1917. While he returned to his unit in December 1917, he was sent back to Australia in August 1918. 1154 – Norman Byron Fraser joined A Company of the 1st Battalion on the 26th of August 1914. He was 19 years old, from Byron Bay and had been working as a clerk. A Court of Enquiry in January 1916 determined that Fraser had been Killed in Action at Gallipoli on the 2nd of May 1915. He has no known grave. 97 – Patrick Joseph Reilly was a 37 year old platelayer from Bungendore when he enlisted in the 1st Battalion on the 17th of August 1914. He was wounded on the 25th of April at Gallipoli and again on the the 10th of August during the attack and later defence at Lone Pine. This wound was more severe and he returned to Australia in December 1915. Pat was medically discharged in August 1916. 341 – Hector McKenzie was 28 and a Launch Proprietor when he joined A Company, 1st Battalion, on the 24th of August 1914. He was killed in action at Gallipoli on the 10th of May 1915. 127 – Samuel Weingott was 21 years of age when he enlisted on the 24th of August 1914. A tailors cutter from Sydney when he joined the 1st Battalion, he succumbed to wounds received at Gallipoli and died at sea on the 5th of June 1915. Prior to his death, he specifically requested not to receive a Christian burial. Sam was one of four brothers who enlisted in the AIF. His brother Alexander was killed in action at the landing at Gallipoli on the 25th of April 1915. 1250 – Richard William Edwards was an engine driver who was born in Wales in 1880. He joined the 1st Battalion on the 22nd of October 1914 and promoted to Sergeant in December 1914. Following a shell blast injury at Gallipoli, he was returned to Australia and discharged in January 1916. 94 – Sandoe Joseph Henry Dietze, AKA Joseph Henry Dietze and Joseph Henry Sandoe. He was born in Cornwall in 1894 as Joseph Henry Sandoe but due to his mother's remarriage early in his life, he preferred to be known by his stepfathers name of Dietze. He joined the 1st Battalion on the 17th of August 1914. Dietze was wounded at Gallipoli on the 28th of May and again on the 27th of August 1915. Promoted to Company Quarter Master Sergeant, he was wounded in France in January 1917. Following his commission to 2nd Lieutenant in August 1918, he was killed in action on the 18th of September. A moment's reflection by a student of history will undoubtedly bring to mind the sad fact that the lesson's of history are rarely learned. The vanity of humanity and our perpetual pursuit of that which is possessed by others, under whatever guise, provides the smoke that effectively screens any clarity of vision or effective enlightenment. The following is a direct quote from Appendix VII from The Official History of The First World War by Charles Bean. Decide for yourselves. On a slab of marble across both columns of the monument is an inscription in Ancient Greek. But for themselves they founded a deathless monument of valour. Valour’s own monument which cannot die. Atatürk was born Mustafa Kemal at Salonika (now Thessalonika, Greece). After graduating from the military academy in Constantinople (Istanbul), Kemal pursued his military career with the Turkish Army in Syria. A member of the Young Turk revolutionary movement which deposed the Sultan in 1909, he took part in the war of 1911–1912 against Italy in Libya. During the Second Balkan War in 1913 he became the chief of staff of the army in the Gallipoli Peninsula, until posted as military attaché at the Turkish embassy in Sofia, Bulgaria. Those heroes that shed their blood and lost their lives... You are now lying in the soil of a friendly country. Therefore rest in peace. There is no difference between the Johnnies and the Mehmets to us where they lie side by side now here in this country of ours... you, the mothers, who sent their sons from faraway countries wipe away your tears; your sons are now lying in our bosom and are in peace. After having lost their lives on this land. They have become our sons as well.